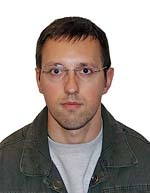 Dr. Miloš D. Milović, BS Phys. Chem. D. Jugović, M. Mitrić, M. Milović, B. Jokić, M. Vukomanović, D. Suvorov, D. Uskoković, "Properties of quenched LiFePO4/C powder obtained via cellulose matrix-assisted method", Powder Technology 246 (2013) 539-544, http://dx.doi.org/10.1016/j.powtec.2013.06.021. M. Milović, D. Jugović, M. Mitrić, R. Dominko, I. Stojković-Simatović, B. Jokić, D. Uskoković, "The use of methylcellulose for the synthesis of Li2FeSiO4/C composites", Cellulose, 23, 1 (2016) 239-246, http://dx.doi.org/10.1007/s10570-015-0806-9. M. D. Milović, D.D. Vasić Anićijević, D. Jugović, V. J. Anićijević, L. Veselinović, M. Mitrić, D. Uskoković, "On the presence of antisite defect in monoclinic Li2FeSiO4 – A combined X-Ray diffraction and DFT study", Solid State Sciences 87 (2018) 81–86, https://doi.org/10.1016/j.solidstatesciences.2018.11.008. D. Jugović, M. Milović, M. Popović, V. Kusigerski, S. Škapin, Z. Rakočević, M. Mitrić, "Effects of fluorination on the structure, magnetic and electrochemical properties of the P2-type NaxCoO2 powder", Journal of Alloys and Compounds, 774 (2019) 30–37, https://doi.org/10.1016/j.jallcom.2018.09.372. D. Jugović, M. Mitrić, M. Milović, V. N. Ivanovski, S. D. Škapin, B. Dojčinović, D. Uskoković, "Structural and electrochemical properties of the Li2FeP2O7/C composite prepared using soluble methylcellulose", Journal of Alloys and Compounds 786 (2019) 912–919, https://doi.org/10.1016/j.jallcom.2019.01.392.